Given the high number of Massachusetts residents injured each year in car accidents, a number of these people file claims for their damages. One method of resolving these claims is through arbitration. Understanding this part of the personal injury legal process is important for anyone that may be involved in possible arbitration of a car accident claim in Massachusetts. Arbitration, like mediation, is a type of alternative dispute resolution. It is a way of resolving a car accident case in Massachusetts, without having going to court to face a judge or jury. When the parties agree to arbitrate, they then select a mutually acceptable arbitrator. The arbitrator is always a lawyer, and sometimes a retired judge. Both sides submit to the arbitrator a an arbitration memorandum that lays out the positions of the parties, as well as the exhibits that will be introduced. Each side will present an opening statement. During the arbitration, the arbitrator hears from all witnesses during direct and cross examination of witnesses. At the conclusion, each side will present a closing argument as well. Is Arbitration Limited To Only Auto Accident Cases? 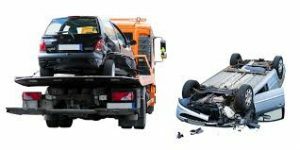 There is no legal requirement to arbitrate a bodily injury car crash case. However, is they cannot be settled, underinsured and uninsured motorist claims, must be arbitrated. Thus, you can’t sue someone in court for these two types of claims, but you can go to arbitration. Arbitration however is not only limited to car accident claims. Other injury claims such as slips and falls and dog bites can also be brought to arbitration, but only by agreement of the parties. Depending on the type of case involved, most cases can be submitted to arbitration. However, workers compensation claims in Massachusetts are not arbitrated. Can The Arbitration Decision Be Appealed? It is very, very hard to successfully appeal an arbitration decision. A narrow exception is if there was any type of fraud or misconduct on the part of the arbitrator. But that is a very difficult standard to meet. If your claim is headed to arbitration, it is critical to have legal representation. Contact us and let us help you successfully arbitrate your claim.